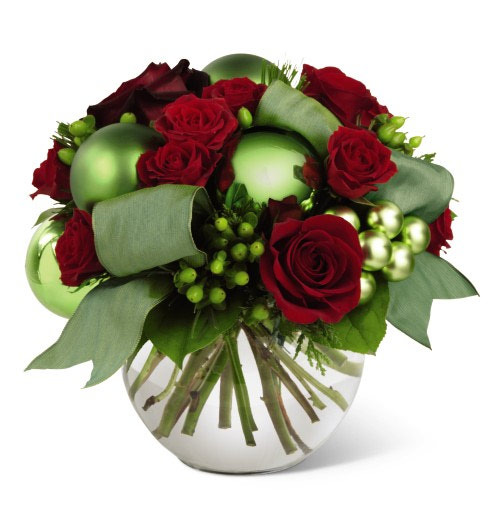 This bouquet brings the joy of the holiday season straight to their door. 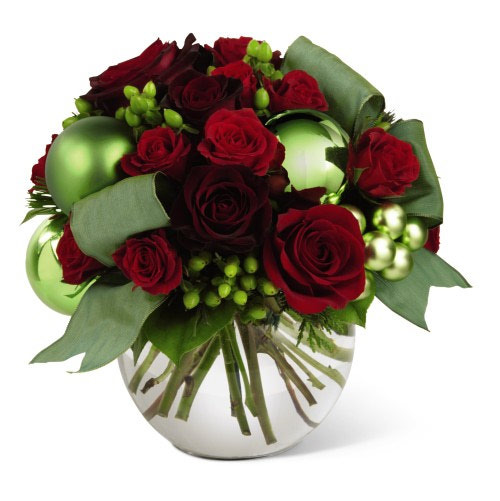 Bursting with red Roses and Spray Rose, green Hypericum Berries, green ornaments and a festive ribbon- arranged in a clear glass bubble bowl vase. 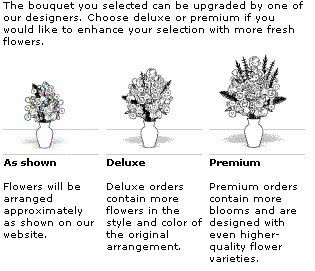 Description: This bouquet brings the joy of the holiday season straight to their door. 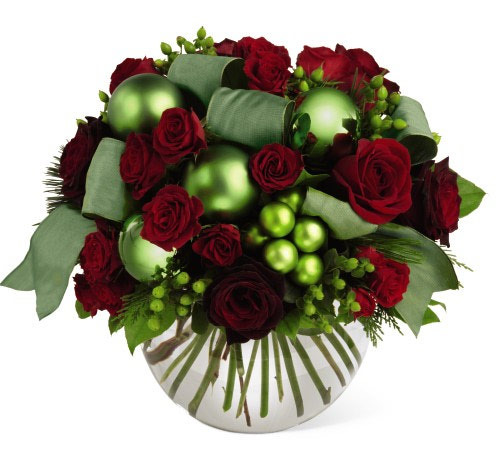 Bursting with red Roses and Spray Rose, green Hypericum Berries, green ornaments and a festive ribbon- arranged in a clear glass bubble bowl vase.